Numerous web browsers have already stopped supporting Windows XP and Vista, but not Firefox. To this day, Mozilla’s latest software can work with your decade-old PC. However, even that team has its limits — it’s phasing out support for XP and Vista starting next year. Mozilla will start by moving users on these operating systems to the Extended Support Release in March 2017, limiting them to feature updates that can be “several cycles” behind the curve. And while the company plans to unveil a final support end date in the middle of that year, it’ll effectively cut the cord in September, when it stops delivering security updates. This doesn’t mean that Firefox will stop working on XP or Vista in September, of course. But when security flaws are hard to avoid, it’ll be impractical to keep using Firefox on those platforms when you could remain permanently vulnerable to exploits. There aren’t likely to be many people who both run a 10-year-old operating system and care enough about their web experience to use a recent browser, so the impact may be limited. However, it’s still a big deal if you’re stuck on a work PC or otherwise haven’t had a chance to upgrade to a newer version of Windows. Like it or not, you’ll probably have to consider a new OS (or a new PC) if you want to experience the modern internet next year. Homeopathic remedies are increasing in popularity as people are becoming more health conscious. My wife jumped on the bandwagon recently, which of course means I’m not far behind, and while I was not excited about it at first, it has improved my quality of life quite a bit and I’m totally on board now. One of the problems we have, however, is that since this is all new to us, there’s a whole new set of foods, herbs, and a whole new lifestyle to get adjusted to. 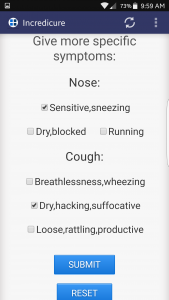 Fortunately, Incredicure has come out with a great new app that helps out with finding remedies if you’re feeling under the weather. Let’s take a look at its features. 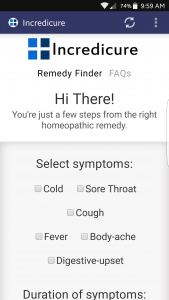 Homeopathic Remedy Finder by Incredicure boasts itself as a quick and easy way to find natural remedies for a number of ailments, and it upholds that claim very well. There is no login procedure or sign up form to fill out. As you tap to open the app, you are brought to the main screen with a list of symptoms for you select. There are only 6 broad categories to choose from so you won’t be overwhelmed by hundreds of choices, and the categories do seem to cover most common problems. In my time using this app, I’ve suffered from cold symptoms and have had a lingering cough that’s been plaguing me. Fortunately, cold and cough are two of the six categories. After you select your symptoms, the app asks you for some more information to further narrow down what your problems are. It’s this two-step approach that I found to be very inviting as I wasn’t overwhelmed by 18 different options for symptoms right off the bat. The clarifying options include pain in the throat, types of coughs, fever intensity, body aches, runny or stuffy nose, and digestive upset. Each of these options has three or four different common symptoms to choose from, such as a dry cough, wheezing, or a loose, rattling cough. The thoroughness of the breakdown provides a great sense of comfort as you are able to pinpoint exactly what problem you are having so that you can get the best treatment. Your remedy is listed in a clear way with simple dosage and instructions on use. Some of the remedies do come with warnings which are listed in the instructions, so you will need to read carefully before taking anything, but the descriptions are not long or wordy and are written very clearly. I found the solution to my problems in just a matter of minutes with instructions I was able to understand and was on my way to feeling better in no time at all. Incredicure also has built an FAQ right into the app that answers a lot of questions that someone might have when starting homeopathic remedies for the first time. It covers basics such as what is homeopathy, are treatments safe, and even things like if homeopathy is so effective, why isn’t it popular. It’s a great reference if you are new to the world of homeopathic treatments or if you need clarification on anything. 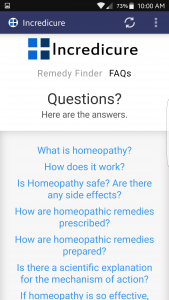 At the bottom of the app is also a contact button and a link to Incredicure website with even more information about homeopathy, so you have answers at your fingertips. The only thing I can really fault this app for is that it could include a few more symptoms, and perhaps a locator for a nearby homeopathy store or web links to a supplier. As I stated, I tried this out for my cough and cold symptoms, and I found exactly what I was looking for, but when my wife was complaining of a headache and I tried to input that, I found there was no headache option. Homeopathy can be a fantastic clean living treatment options for a number of ailments, and Homeopathy Remedy Finder by Incredicure provides a slick and easy way to quickly discover remedies for a number of common symptoms. In a matter of three or four taps, you’ll immediately have remedies available to you so you can be on your way to feeling better. While it doesn’t have everything that may ail you and you may have to hunt for a store that actually sells what’s recommended to you, this is a very good starting point for those who are interested in a more natural approach to treatments. Lots of Android games want to wow you with crazy, hair-raising action, speed, and wild graphics. Their mission is to pull you in with the promise of a frenetic pace, testing your reflexes and concentration in the face of unrelenting distractions. stayZen is an Android game that tries to go in another direction. This is a game that is trying to be a bit of a meditation app. Or it could be a meditation app masking itself as a bit of gaming fun. It comes from Canadian developer PeaceOut Games. It is suitable for all ages; though young kids may have trouble keeping the game going, while even tweens may not appreciate the purposeful speed of this title. If you’re curious by just what I mean, keep reading to see what this game/app is all about. Install and setup is very straightforward. Simply download from the Play Store and fire it up. Once in the title screen, you have a couple of choices. “Levels” shows you the level map with all the different worlds & levels you’re in for. “Options” lets you choose some gameplay preferences such as music on/off, player avatar, and both gravity & enzo strength (more on these in a minute). Otherwise you just press “Start” and you’re in. 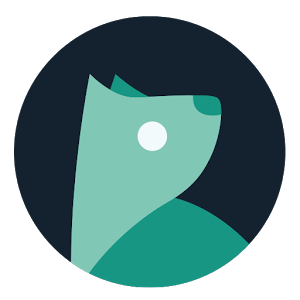 As I stated before, stayZen gameplay feels like a mix of game and zen-practice app. The idea of the game is to move your avatar (which starts as a Japanese-style painted circle but can be changed as you progress through the game) along a predetermined path on your screen to a unopened lotus blossom. Upon reaching your goal, your blossom blooms into a flower. 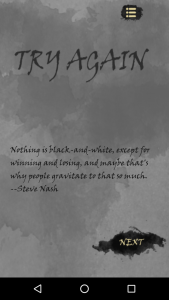 Your main antagonist here is simple gravity; your avatar will always be pulled downward, and it’s your job to fight gravity while not veering off your line. You move your stayZen avatar by ‘painting’ it along the path by repeatedly making small swipes in the direction you want your avatar to go. While going in a straight left-to-right line, you need to swipe up and to the right to counter gravity and to move your avatar closer to your goal. This swiping is your ‘enzo’. So as stated before, you can (slightly) adjust both the gravity and enzo strength in the game to change things up. The idea behind this game is not to blast through the levels as fast as you can or to acquire as many power-ups/coins/avatars as possible; rather, it’s to find a “zone” in which you are painting your avatar safely along its path. Slowly is just fine here; you won’t find any points or timers here. 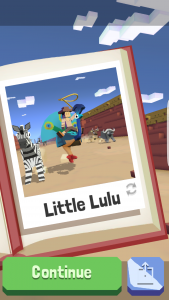 After finishing a level, you are simply treated with a philosophical quote from various public figures….everybody from Gandhi himself to Mia Hamm (seriously!). As you can imagine, the paths start as rather easy in the early levels, but quickly increase in difficulty. 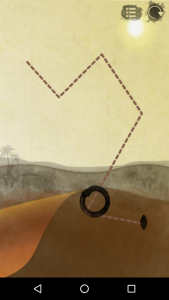 In addition, the game will add obstacles that you have to steer around (such as scorpions) and other path variations that turn it into more of a platformer. Graphics in this game are very high-quality, with the backgrounds getting a nice vellum or scroll paper treatment. Most items shown in the game are simple black silhouettes, adding to the sunset-esque quality of the game lighting. Music is also very well done, in the form of a soothing flute playing continuously throughout your experience. The only jarring moment comes when your avatar becomes separated from your path; a jarring gong indicates that your round is over along with your avatar free-falling off the bottom of your device’s screen. 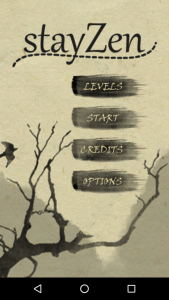 stayZen is a rather soothing variation on a platform game, to the point where you could use this title as a game or as a relaxation app. I have to say, I rather enjoyed playing through the levels. The combination of the relaxing visuals, music, and “painting” gameplay mechanic did tend to settle me while playing. If pressed, I would say the main critique I would have is that the level variation could start to happen a bit earlier than it currently does. It takes several levels to start to see some truly different levels (at least for my preference). But then again, that is probably exactly as the developer intended the game to be to allow for a deeper and longer engagement in the zen-like quality of the presentation before testing you with more varied and difficult levels. As a bonus, the developer has just recently updated the game,with smoother gameplay and controls, which shows a good commitment to the title for the foreseeable future. In the end, I do highly recommend this game, and feel that you can’t go wrong with giving it a try. Download here and see if you feel the same. When Amazon started shipping its latest Fire TV Stick with Alexa voice controls built in, the company also mentioned that a refreshed look was on the way for its streaming devices. Well, Amazon tells TechCrunch that update is starting to roll out today. If you have a Fire TV or Fire TV Stick, you’ll soon notice that “cinematic experience” the company promised which includes more trailers and screenshots from movies and shows. The biggest change is that the menu has been relocated from the left side of the screen and situated across the top. Another key tweak is that Amazon will show you a lot more options than just its own content, providing recommendations from other streaming services like HBO and Netflix. Of course, the online retailer will still push its original shows and movies up top. Speaking of Netflix, navigating through the library of apps and content on the Fire TV works similar to that streaming repository. 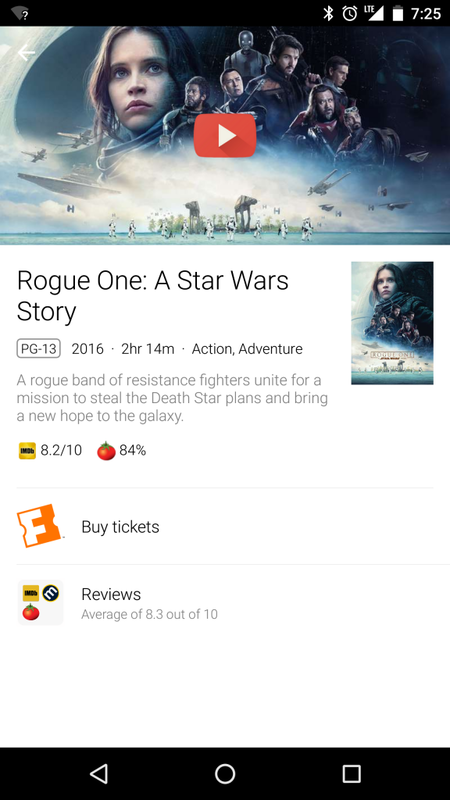 You can browse what’s available by scrolling horizontally through the menus. In addition to the new layout, Amazon is adding the ability for you to assign a PIN to access certain apps alongside parental controls. There are also accesibility improvements for users with hearing and visually impaired. Amazon’s Echo line already has a truckload of skills that tap into Alexa’s ability to lend a hand with tasks, and the company adds new ones on a what seems like a weekly basis. This week, Google announced Netflix support for its connected Home speaker through Chromecast alongside the ability to display images from Google Photos. It turns out that was just the beginning as Google revealed over 30 more actions for Home from third-party developers. Using voice commands, you can try to find out why you feel crappy with WebMD, sort your to-do list with Todoist, order pizza from Domino’s and get news updates from the likes of The Wall Street Journal, NBC News, NPR and more. And those are just a few examples. The so-called Conversation Actions from dozens of companies will roll out over the coming weeks, but some are already available. VentureBeat reports that this is the largest addition of actions since Home launched and there are now 35 third-party options total. 32 of those are available now. We were able to confirm that the collection of services are accessible inside the Google Home app. The new features for Google Home follow the company’s announcement that it was opening up those Conversation Actions from its Assistant to other developers earlier this month. Of course, those tools play nice with the company’s Pixel phones, too. To get in on the actions, er, action, for the household gadget, head to the Services section of the Settings menu inside the Google Home app for Android and iOS. A big part of current-gen gaming we just have to live with is spending time we could be playing waiting for things to download. Microsoft is looking to ease that burden with an update to Xbox One. With the latest version of the console’s operating system, the company says it increased download speeds 80 percent if you’re internet connection is faster than 100Mbps. If you’re on a slower connection that’s less than 100Mbps, the update should still boost game and app downloads by 40 percent. Of course, Microsoft warns that exact figures will vary based on your home configuration and your ISP. Download speeds will also be slower when you’re playing a game as Xbox One prioritizes that action over any background activity. Speaking of background downloads, this update optimizes that process to withstand any intermittent connection issues. Additional updates include a firmware refresh for the Xbox One wireless controller and tweaks that should make streaming music in the background more reliable across different apps. There are also the usual “general performance and stability improvements” where further details aren’t provided. To grab the update, head to Settings on the console and select “Console info & updates” from the System menu. 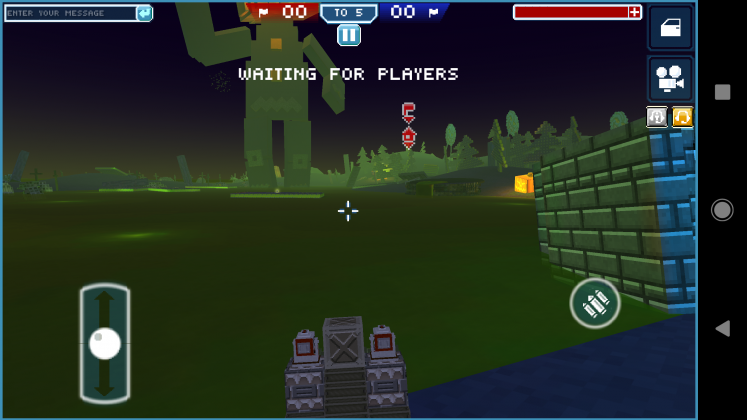 Blocky Cars Online is a multiplayer car battle game that allows you to build a car and compete against others online in a collection of modes, level up, and unlock rewards. Playing Blocky Cars Online immediately brought me back to 1999, where I’d be found playing Lego Racers on my N64 in my pajamas. That game allowed you to build your own car in classic lego-brick fashion and race around in az Mario-Kart inspired kart racer. It was wonderful to my seven-year-old mind, even if it isn’t as great as I remember now. 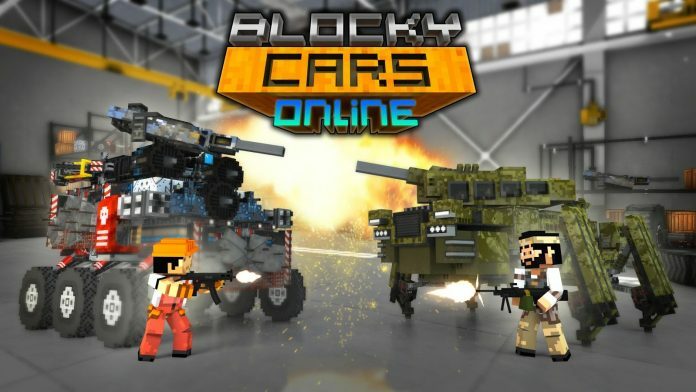 Blocky Cars Online has a similar story, build your own car to compete in various game modes, except now you can play online with other players and the cars are not made of Legos. 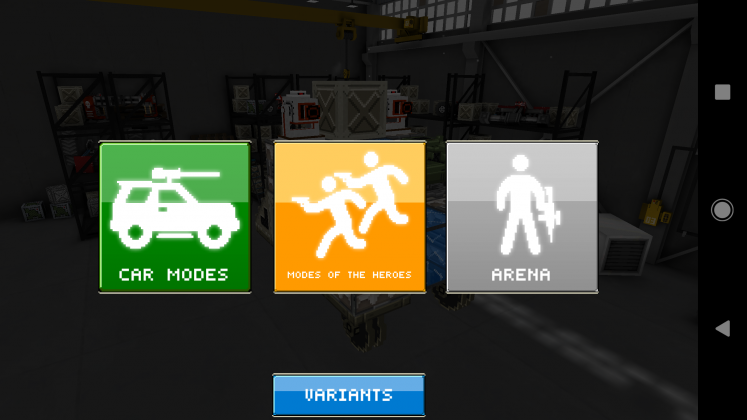 The game does have some unique elements as well, like the ability to leave your car and battle on foot, as well as unique vehicle movement like flying. Also, much like Lego Racers, Blocky Cars doesn’t quite hit the mark every time but gets a few things right, and for some, that’s more than enough. 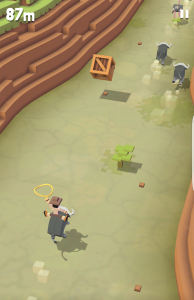 Players can leave their cars and fight on foot. Blocky Cars Online’s main focus is the cars themselves, and in that department, they do a fairly good job. Car customization is simple and easy to use, and the selection of blocks available is pretty extensive. 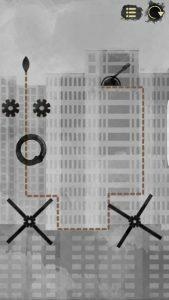 There are different material blocks to build with; boosters, engines, and weapons to choose from; and a bunch of cosmetic items to make it your own. Building a simple car that I was pleased with took only a few minutes, and there are multiple slots in the garage for you to have a few different designs. 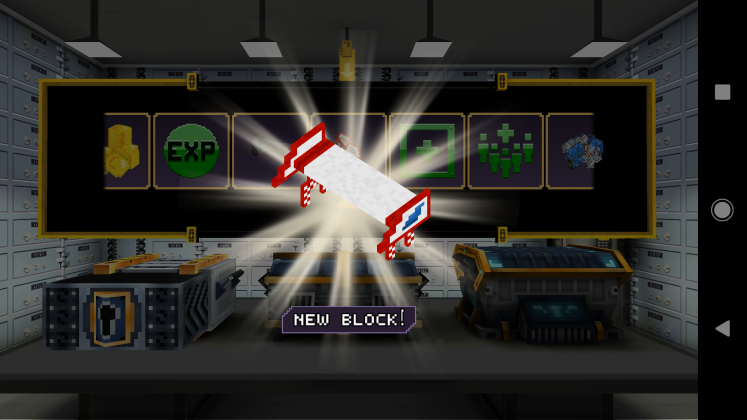 Unlocking the various blocks does take a bit of time and in-game currency, but the starting equipment you’re given is plenty to make something cool with. Gameplay-wise, Blocky Cars is solid, if a bit frustrating at times. The controls for the car are pretty simple, but sometimes navigating terrain is a chore, due to slow steering and imprecise touch controls. This is especially apparent in attempting to make your car fly. Multiplayer sessions are often a mess with cars all over the place, making it difficult to get a bead on anyone or go exactly where you want to. It works just enough for me to say it isn’t unplayable, and for a free game, that’s just fine. There are a few game modes, including dueling, capture the flag, a drivers-only mode like team deathmatch, and a few other car combat modes as well. They all generally involve shooting the enemy player with your weapons, and there aren’t any real surprises to be found here. Visually, the game looks pretty good. 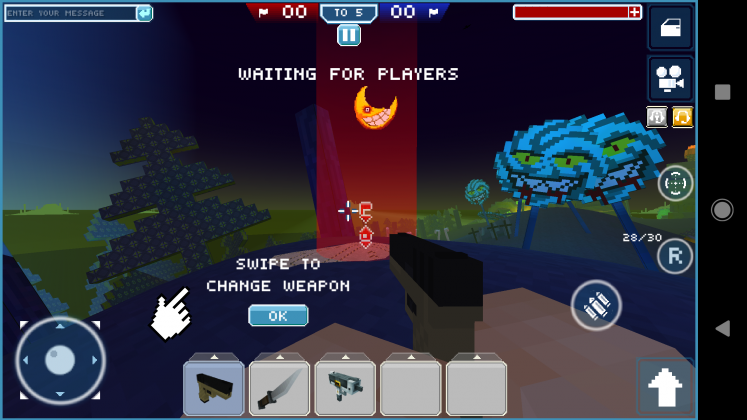 The graphics are, well, blocky, but they look alright and they are colorful and varied in style and theme depending on the level you’re playing in. The blocks are primarily square-shaped, with few other geometric shapes to speak of, which works with the aesthetic of the game. Overall, the graphics are simple but effective without being too crude. Same can be said of the sound, with decent sound effects for the weapons and cars, but some pretty uninspired musical accompaniment. One thing that really holds Blocky Cars Online back is its lack of a user base. The matches I was a part of rarely had more than 2 or 4 players at a time, and I often waited more than five minutes to get into a game. That’s a bit too long for my liking, and the game doesn’t have a single-player component to give me something to do when there’s nobody around. Time will tell if this improves as the game ages. 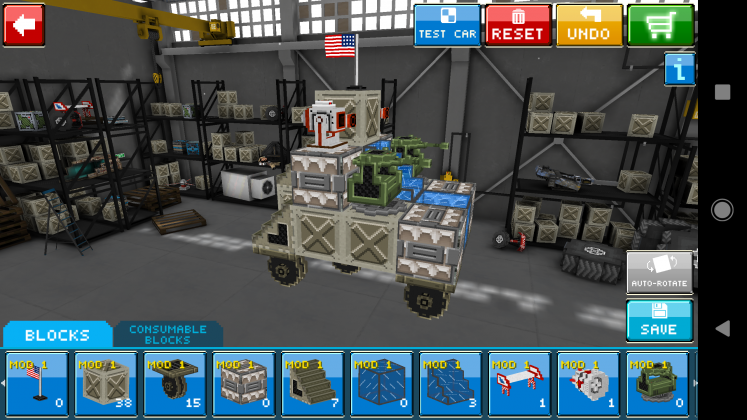 Blocky Cars Online is an all-around solid game. It runs well, is simple and easy to pick up and play, and has a decent amount of depth in its game modes and car customization. The only thing really holding it back is it’s small user base, but that can change over time. This is definitely a great game for kids and lovers of car games and fans of Legos as well. You probably don’t trust your laptop’s battery life estimates, and that’s especially true if you happen to own the latest MacBook Pro. It’s supposed to last for up to 10 hours, but the estimated time can vary wildly depending on what’s running at any given moment. Apple has a very simple solution to that: get rid of the estimate entirely. The company has released macOS Sierra 10.12.2, which ditches the “time remaining” display from the menu bar. That’s not so hot if you depend on that figure to determine when you’ll need to recharge, but our TechCrunch colleagues understand that this might be necessary given evolving technology. Reportedly, Apple has double-checked battery life on real-world MacBook Pros and believes that the battery is behaving properly. The problem stems from a combination of both modern Intel processors with the very nature of battery life estimates. An operating system can only calculate battery life based on what’s happening at any given moment, which is a problem when the Skylake-based chips in the new MacBook Pros have rapidly changing power states. You may be getting solid battery life in practice, but you won’t see that in the estimate if the processor is running at full tilt when you’re checking the menu bar. There are other changes and fixes coming with this update. It tackles a serious graphics bug with newer MacBook Pros that triggered “visual artifacts,” to start with. Also, it’s clearer about what happens when you use iCloud storage syncing (which backs up your desktop and Documents folders) or Optimize Storage (removing files when backed up to iCloud) so that you’re not alarmed when files seemingly disappear. You should also see improved Bluetooth audio when using FaceTime or Siri, a better Auto Unlock experience and support for new installs of Windows 7 and 8 using Boot Camp. In short: even if you’re on a desktop Mac and don’t care about battery life, there are quite a few reasons to update.